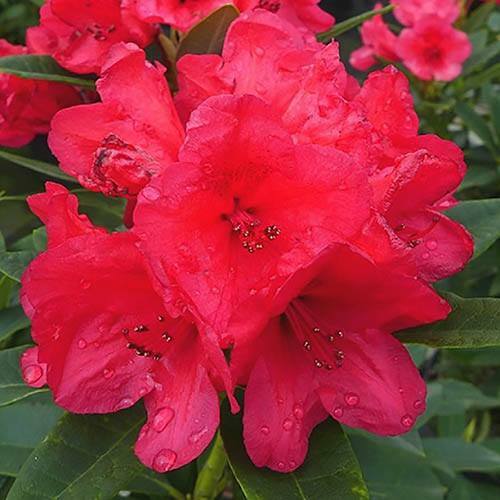 The exotic-looking blooms of Rhododendron 'Nova Zembla Red' appear in early May, and are produced in large, showy clusters of bright red flowers, each distinctively marked at the centre with violet-brown. 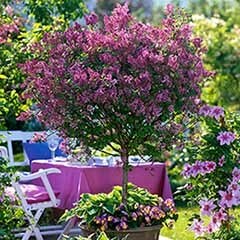 The flowers contrast beautifully with the glossy, dark green foliage which covers this well branched shrub all year, growing into a rounded evergreen shrub over time. 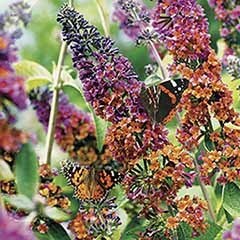 A great choice for an exotic planting scheme on acid soils, or adding colour and structure to mixed borders, ‘Nova Zembla’ makes a great specimen in a container. 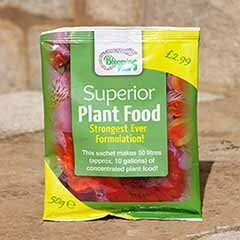 Rhododendrons are low-maintenance shrubs that will perform superbly provided you plant them well and keep them well-watered. Supplied as an established plant in a 4L pot, 'Nova Zembla Red' will reach H2.5m (8ft) x W2.5m (8ft) and suits container growing perfectly. 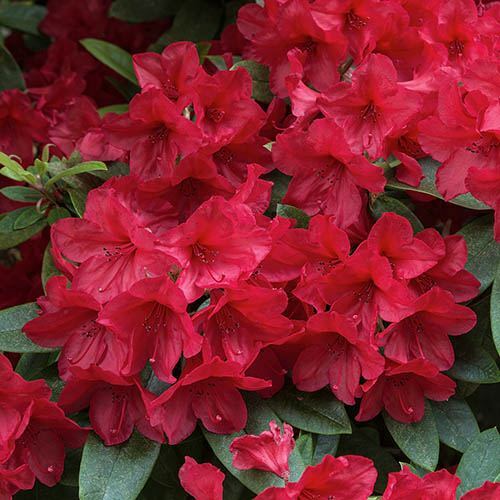 The exotic-looking blooms of Rhododendron 'Nova Zembla Red' appear in early May, and are produced in large, showy clusters. Each bright red flower is distinctively marked at the centre with violet-brown. If positioned in full sun, the blooms fade to a strong pink which is equally eye-catching. 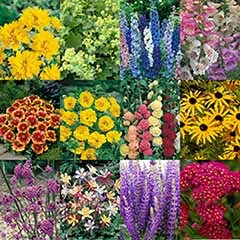 A great choice for an exotic planting scheme on acid soils, or for adding colour and structure to mixed borders, ‘Nova Zembla’ also makes a great specimen in a container, where they can be moved out of the early morning sun. Rhododendrons are low-maintenance shrubs that will perform superbly provided you plant them well and keep them well-watered. 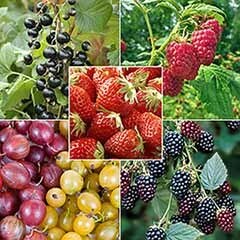 They mostly prefer bright to dappled shade or partial shade, avoiding morning sunlight which can damage buds. As Rhododendron roots are shallow, spreading to sides in search for nutrients, they shouldn’t be planted them too deeply - remember that they often grow in shallow cracks on mountainsides. 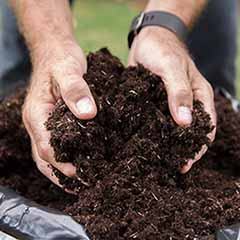 Soil does need to be on the acidic side and rich in humus, cool and always moist which will allow established plants to withstand direct mid-day and afternoon sun. 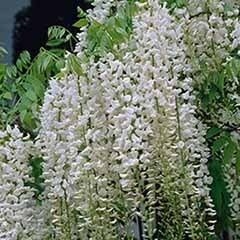 For improved and more abundant flowering, dead-head faded blooms where possible and avoid shade which reduces blooming. 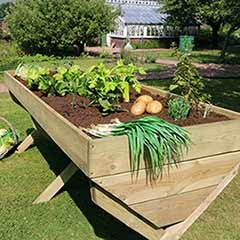 Perfect for growing in a large container (remember to use ericaceous compost), just make sure that you feed and watered well and re-pot every couple of years. 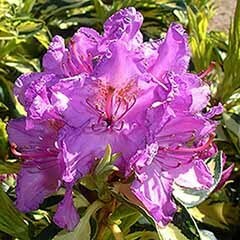 Rhododendrons can tolerate a more open site as long as they are sheltered from cold, drying winds and early morning sunlight. 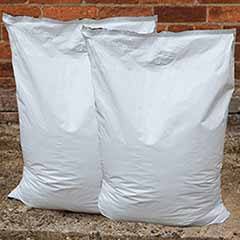 Mulch plants and water deeply and regularly during dryer periods from July onwards. 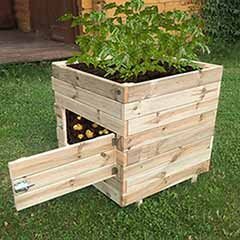 Keep plants well-watered and apply a mulch to prevent the soil from drying out.